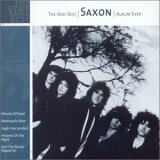 There are no reviews for The Very Best Saxon Album Ever yet. You can write one. Released as part of the "The Very Best Albums Ever" series which features lots of other, mainly non-metal, bands.